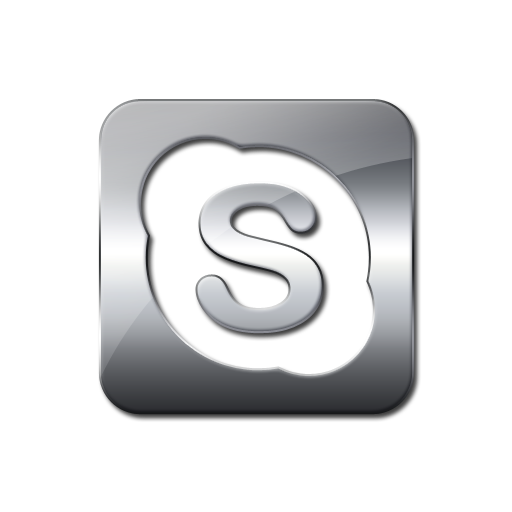 Players may contact us on skype: ID rakeadvisory to receive our custom offer at Ignition Casino. To correctly set up your new Ignition Poker account you must uninstall any existing software and clear cookies. Check the browser icons for more details. Click the "Download Now" button to start. You'll be taken to the website to download the poker software and create your new Ignition Poker account. Please send us your Ignition Casino Username you registered at previous step. Ignition Poker is the new brand of Bovada, which was the biggest online poker room that accepted US players and one of the biggest in the world in terms of traffic for cash games. Ignition has been established as one of the fastest growing operators on the market. It has recently surpassed Ipoker for a consistent period in regards of traffic and is only behind some major operators like 888 Poker and PokerStars. What is special about Ignition is that it gathers the vast amount of US players that still play online poker today. Mind you, the peak hours change accordingly, meaning that the most traffic is during American evening hours. Ignition customer support has also been drastically improved, in the last years catering to all their customer needs, as well as significantly improvind the cashout speed. While not an old website like some competitors that are more than 10 years old, Ignition managed to become the number one website in the United States and one of the best in the world. It was founded in 2016 and it is owned by Lynton Limited. So you might wonder how a brand new website managed to become the best in just 2 years? Well, this is because they have deep roots in the industry. They initially started as Bodog Poker in 2004, then became Bovada and just recently rebranded into Ignition Poker. So by having 12 years of experience in the business, they quickly managed to rise to the top, even though the brand was new. This does not mean that they didn’t had their issues and challenges, but they managed to overcome them all. They are now the largest poker network in the US, and on the international market they are surpassed only by some big operators like PokerStars and 888 Poker. In a difficult American market filled with restrictive laws, they are among the very few platforms that are offering a mobile gameplay. They are also the only website in the United States that offers the “fast fold poker” variant (here it’s called Zone Poker) and they have a solid reputation when it comes to payouts. Checks to US residents arrive in about one week, and Bitcoin withdrawals take up to 24 hours. So in case you are sick of having to worry about payouts, or playing tight games or arriving at empty tables, then Ignition is the place to go. No poker platform is perfect, and Ignition does has its drawbacks. The first one being that the software occasionally has some issues. Sometimes it may load an empty table (even though there is plenty of traffic, regardless the time you log in). What you need to do in this case is to simply restart the game. Some players also reported the software to freeze right in the middle of an important hand, which can lead to huge losses. As mentioned before, Ignition does not have an official license at the moment. While the previous brands (Bodog and Bovada) did had a license under KGC (Kahnawake Gaming Commission), it was lost in 2016. It remains to be seen if they will acquire a new license any time soon. Overall, Ignition Poker is a solid and reliable platform for players of all levels. When it comes to traffic it’s #1 in the United States and #8 in the world. So definitely an option to take in consideration. Keep in mind that Ignition Poker does not offer a VIP scheme, instead it brings a hefty deposit bonus of up to 1.000$, amounting to 100% of the first deposit value. The bonus is unlocked using Player Points earned, which can be gathered by paying rake in cash games or tournament fees. Moreover, players also get some rakeback after the bonus is cleared, by exchanging player points they earn while playing real money games into cash or tournament tickets. They can get 1$ cashback for every 200 points exchanged. Besides this, grinders can earn extra rakeback harvesting the benefits of the various Ignition Poker promotions. As a leading poker platform, you can imagine that Ignition has plenty of attractive bonuses and promotions. Their initial bonus is 100% of your first deposit, up to $ 1,000 (it was recently increased 10 times, since not long ago it had a cap of just $ 100). In case you are also playing casino games you can benefit from a few other bonuses as well, but only if you are sure that you will play those games. If you only focus on poker, just choose the “Ignition Casino Welcome Bonus” and not the Bitcoin Bonus or the Weekly Boost (they can be unlocked only through casino play, and not poker). Whatever you do, just don’t choose the last option that says “No bonus, thank you”. It seems that the guys at Ignition have a good sense of humor. The cap of $ 1,000 is very attractive and surpasses most of the competition, but most of the new players don’t release more than $ 100 anyway. If you play Zone Poker, you can clear the bonus more easily. How Long Does It Take To Clear The Bonus? Be aware that you only have 30 days to release the bonus, so play as much as possible. It works after a simple and straightforward system, and you can release it in multiple stages. So even if you don’t release the entire amount of $ 1,000, you can still release $ 25, $ 50, $ 100 and so on. This system makes the bonus even more attracting than the $ 1,000 cap that sounds great for advertising, but will not be attained by most players. Playing a standard cash game of NL Hold’em at a buy in of $ 0.50 / $ 1 will result in approximately 5 Poker Points per hour (around $ 1.5 of bonus per hour). So this way you won’t release too much of the $ 1,000 cap in those 30 days. But the secret lies in the Zone Poker games, where you can release around 40 poker points per hour ($ 10 in bonus per hour). Ignition have figured out this “trick”, so they made sure that there are multiple release tiers, and the higher you go, the less dollars you will release per hour. The average gets to around $ 100 for 10 hours of play, which is still much better than most other platforms. If you’re a serious grinder that plays for at least 8 hours each day, you can easily release the full $ 1,000 bonus in the 30 days that you are allowed to. Ignition also has various rewards programs, but most of them are geared towards other casino games and not poker. Hopefully they will add more poker promotions in the near future. Other ones that are occasionally available are the Royal Flush Bonus and the Bad Beat Bonus. This promotion aims to reward players who make royal flush with both hole cards in cash games with an exciting bonus of up to 200$ if the player wins the pot, while at least three players are involved, without going to the showdown. The bonus awarded is 50 times the big bling, but capped at 200$. Players have 48 hours to claim the bonus an receive their award if they are eligibile. This bonus is awarded for players who have a big losing hand against Quads or better. The bonus is 100 times the big blind, being capped at 1,000$. The event has to occur in cash games and not tournaments only if there are minimum three players involved in the pot and the hand goes to showdown. Players have 48 hours to claim the bonus. Ignition uses the same rake structure and method as all other PaiWangLuo Network skins: Bodog.eu, Bodog.com, Bovada and Bodog88. Rake is computed using a Weighted Contributed method, which is the default formula for most gaming operators. Ignition charges 0.01$ rake for every 0.20$ in the pot in the case of cash games, so the rake percentage is between 2.5% and 5%, while rake cap values are ranging from 0.50$ at HU tables up to 4$ at the highest stakes for 6+ players. Multiple online poker websites are not pleased with the low profit margins, including Ignition. So they had to increase the rake to a maximum of $ 4 per hand (previously it was $ 3 per hand). Other fees may be included, so pay attention to that. Ignition is the flagship of PaiWangLuo Network, the largest US poker network in the world. According to Pokerscout, it currently holds the 8th place in online poker sites traffic leaderboard with 1100 players online on average and over 2500 at peak hours. The main action takes place at mid-stakes. Fast poker is also available up to NL100 and is called Zone. As mentioned before, this game is the fast fold version on the Ignition website. This is an interesting and original concept that allows you to play up to 300 hands per hour, in a really fast and engaging way. The game is available in the 6-seats format, and it also has the added feature of anonymity. So this means that other players can’t track your hands. You can fold at any stage of the game, and then you will start at a brand new table, with other players who also folded. Another interesting feature offered by Ignition consists of the anonymous tables for cash games. This makes the traffic really juicy, together with the restrictions applied to European players, while US players are allowed to join the games. Thanks to the advances in technology, there are all sorts of trackers out there that can definitely improve the game of experienced players, while making recreational players lose more easily. But luckily, multiple websites (including Ignition) allow the option of playing anonymous tables. This means that no one will know how good or bad you are and how you played in the past. Thus, the game is more appealing to beginners who still have chances at winning. Various websites have different systems of maintaining the anonymity of players, and Ignition does this in a very simple and effective way – it simply doesn’t show the screen names of the players. You can only recognize a player by his seat on the table, and that changes a lot especially in the Zone Poker games. So the only way to know how good someone is, is to closely pay attention to the way he plays. And this is how it was done in live cash games for hundreds of years, until the recent development of technology. While anonymous games are very attractive to recreational players, they are for experienced players as well. Good players that can play without relying on tracking software, can easily take advantage of the high number of “fish” on Ignition. The website has a 5% to 10% higher flop percentage than its competitors, which is great. However, there were many pro players that complained about anonymous games, which only states that they are heavily relying on software instead of their own judgement and experience. Inition offers a dozen of MTTs, available for several buy-ins between 0.55$ and 270$. Guaranteed Prizes have insane values of up to 2 million dollars. Ignition is a great place for freezout MTT lovers since most of the tournaments offered do not have rebuys. This is great news for those who want to leverage their skill and not invest a lot of money in rebuys. There are more than 10 events each hour, so plenty of options to choose from. Late registrations are usually allowed for about 1 hour and a half, so you have plenty of time to opt in. For Texas Holdem tournaments, the average number of registrations is 500, which is huge for an online poker site in 2019. They host Sunday events with 100k GTD tournament and an entry fee of only 150$. Usually you will see about 1,000 registrations for this MTT. Overall, Ignition is a great place to play tournaments. Being an US gambling operator, all games run in United States Dollars (USD) currency. The website is not officially licenses, but this really shouldn’t be a problem. They offer deposits with any Mastercard or Visa card, as well as with Bitcoin. Players have direct cashier. Minimum deposit is 25$ for getting the initial deposit. Ignition stimulates Bitcoins players by issuing regular reload bonuses for BTC depositors. The payouts methods are check, wire transfer and Bitcoin, and as mentioned above, they are fast and reliable. We are sure that you are already tired of hearing words like “Bitcoin” and “cryptocurrencies” everywhere, but they simply can’t be ignored anymore. They are here to stay and all respectable poker platforms have included at least one form of crypto in their offer. The setup process is quite easy and only takes a few minutes. The minimum deposit is that of $ 25, while the minimum withdrawal amount is $ 20. As for the maximum, this is $ 5,000 for both deposits and withdrawals. Deposits are instant and don’t have any frequency limits, while withdrawals are allowed every 3 days. Ignition does not support any additional trackers such as HM2 or PT4. Thus, their cash games run at anonymous tables, without running a HUD. You cannot use any statistics on your opponents to exploit them. Nevertheless, the games are very juicy so you don't need a HUD to value bet against amateurs and fishy recreational players. Nowadays, people are using their smartphones more often than using their computers, so it is a great thing to be able to play wherever you are, as long as you have an internet connection. But unfortunately the legislation is very strict. Ignition Poker is the only platform in the US that offers mobile poker, and this is a huge advantage. They do not have official apps for Google Play and Apple Store, since these platforms would not allow apps from an unregulated website. But what they do have is a poker platform that works on absolutely any browser, whether that is mobile based or desktop. This gave them a clear advantage in the US over competitor websites like BetOnline and America’s Cardroom. This is huge when it comes to the Zone Poker game that you can play absolutely anywhere, and whenever you have a few spare minutes. The game works very quickly and smoothly on mobile devices, just like it does on desktop. So whether you are in the bus commuting to work, in your lunch break or you are waiting in line at the doctor’s office, you can just pull out your phone and make some quick money. If Zone is not your thing, you can also play regular cash games or Jackpot Sit & Go’s on mobile. The only thing to keep in mind when playing on mobile is that you can’t play multi-table games, and you can’t do other activities at the same time because you will not be notified when is your turn to play. On desktop you do get notifications, but on mobile you don’t. So just make sure to play a good enough table to keep you engaged. Games that are lacking and could be added in the future are multi-table tournaments and standard Sit & Go’s, but they work better on desktop anyway. So when it comes to playing poker on your mobile, Ignition Poker is the first and the last option in the United States. Ignition Casino is accesible only for players coming from Australia and the USA with the following state restrictions: New York, Maryland, New Jersey, Nevada and Delaware. IgnitionCasino is one of the few off-shore sites which legally operate within the US market.